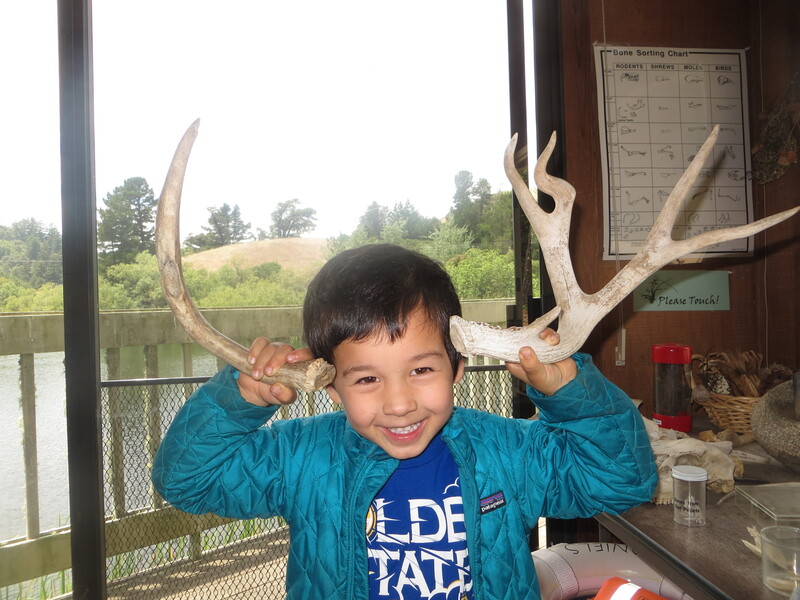 I recommend a two part trip for families with young kids. First drive to the recently opened Audrey R ust Commemorative site (on Alpine Road ~2 miles south of Skyline drive). You’re greeted with spectacular views, wildflower display especially with the California Poppy, and several short trails. The trail to the overlook with its benches is excellent. 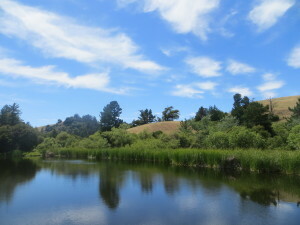 Vultures soar overhead, and Santa Cruz Mountain views extend to redwood canyons, the Pacific Ocean, and Monterrey Bay. 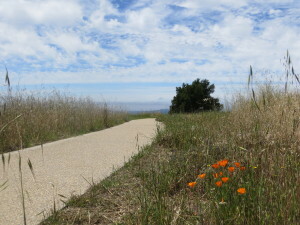 A new trail also connects the Audrey Rust site to the main Russian Ridge trail system. Signs also share the natural and human history of the area. After enjoying the views, I recommend driving to the main parking lot near Alpine Road & Skyline Drive intersection. The short walk to the visitor center has many wonders and follows the Bay Area Ridge Trail. 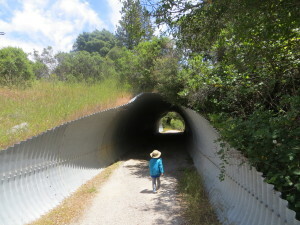 It first goes through a tunnel under Alpine Road – great for echoes with a little one. A mossy filled oak tree stands guard over the south side of the tunnel. The highlight is alpine pond, and the little dock. My son loves watching the bluegills swim and the ducks. A trail circles the pond as well. On Weekend afternoons, the David Daniels visitor center is open. 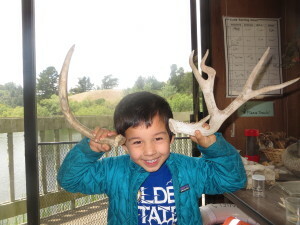 Operating by friendly volunteer docents, the center pond displays, animal bones, furs, and great views of the pond. My son completed the wall sized pond panorama game three times. My two boys and I enjoyed a picnic, the visitor center, and multiple hikes. We spent about 4 hours at Russian Ridge. Russian Ridge is part of the excellent Midpeninsula Open Space System that protects many Santa Cruz Mountain properties – especially along Skyline Drive. Other Russian Ridge attractions include Borel Hill, the highest point in San Mateo County and the northern SF Bay overlook that’s great for photographing sunrises.